Two very different looks and I love them both! I’m always drawn to red berries, but the “white” berries and muted tones are beautiful! Love that textured paper too! Such a lovely, restrained color palette for this classic berry spray image! Your detailed “how to” coloring menu is perfect timing for mistletoe sprigs; how to make white objects look white on white paper isn’t easy. Many, many thanks for all of your help. Both cards are really lovely! I love your choice of the gentle of the first and the tonic paper sets it off perfectly. Unique and Well done as always, Heather! Two lovely variations for this stamp Heather and they are both gorgeous. 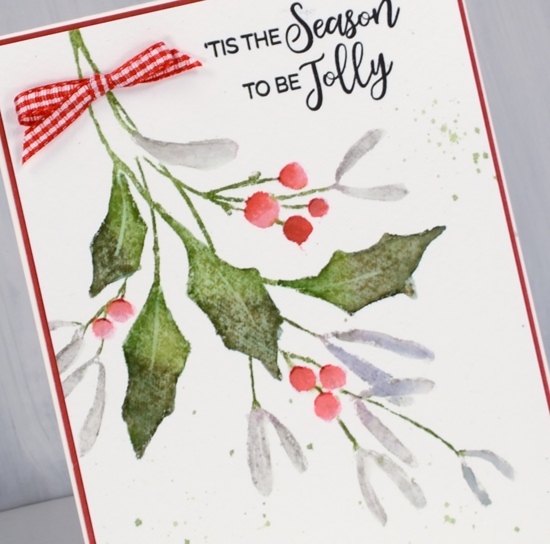 My favourite is the first, mistletoe berry one because of it’s innocence and the way you have captured the white berries on white paper and the overall arrangement & placement of the stamp. The green layer sets the paleness off beautifully. So talented. I love the happy red berry version too. Heather, I am completely smitten with the first card! 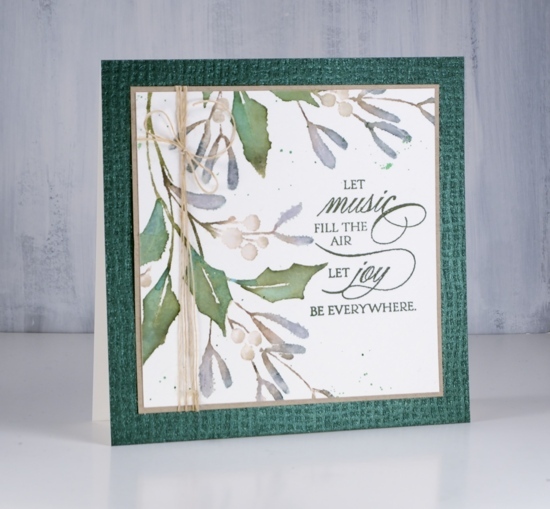 I love the beautiful muted color AND those white berries; gorgeous! 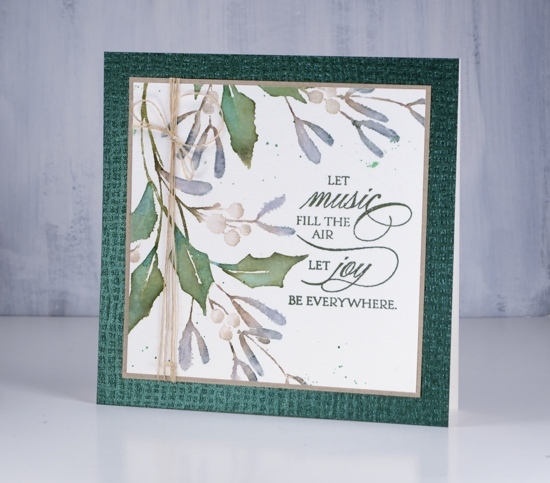 The lovely green fancy shmancy panel – absolutely perfect! 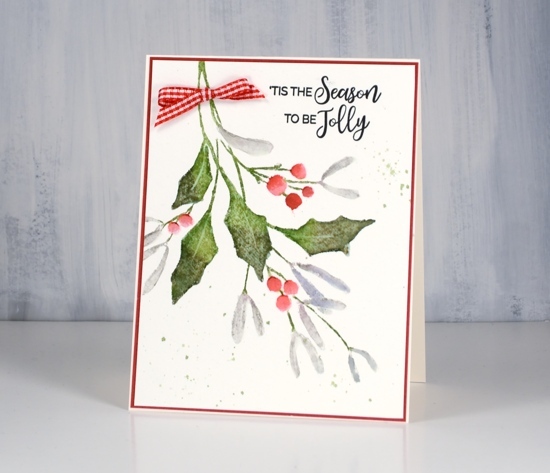 It kicked it up a notch without taking away from the lovely holly and berries focal point! 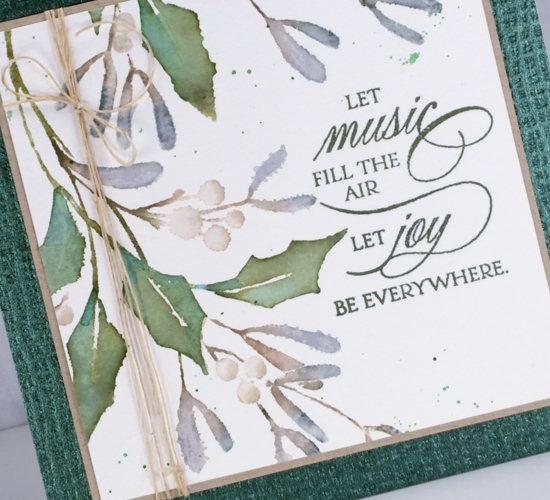 Just love the first card with the muted colors. The whole design is gorgeous.